Due to the consistent bad weather this weekend we have decided to postpone the Neighbour’s Day event to a final date – Sunday 29 April from 3-5pm. This is a rain or shine date as we plan for a garage BBQ at no 33. If the weather is nice we can put a bouncy castle up last minute and we can move into the sun. 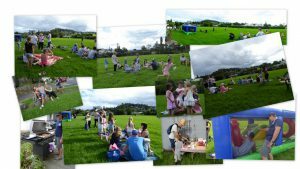 Hope to see you all on Sunday 29th rain or shine, bring chairs, drinks, salads and desserts, cutlery, plates and glasses, maybe some rugs for the kids to play some games. Please contact us via this site if any questions.